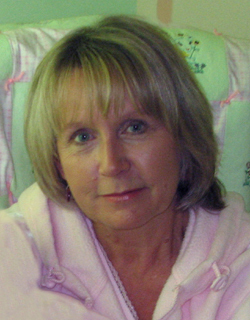 Peggy Lee Gauthier, 62, Morgan, formerly of Pulaski, went home to heaven on July 11, 2017. She left this world as she entered it, surrounded by love and family. Peggy was born October 19, 1954, in Angelica, to Marvin and Althea (Bornemann) Nighorn. She spent her youth on a farm in rural Angelica growing up with her five sisters and learned at an early age to enjoy the beauty and quiet of a country life. Peggy was a 1972 graduate of Pulaski High School, where she met her sweetheart and future husband, Randy Earl Gauthier. They were married on August 21, 1976, at St. Paul’s Lutheran Church in Zachow. The couple lived in Pulaski where they raised their two sons, Wade and Troy. In 2003, after the heartbreaking loss of their son, Wade, they moved to Morgan. Although never without the heaviness of that loss, Peggy chose to turn her sorrow into wisdom, understanding, and compassion for others. She worked for the Pulaski Community School District at Fairview Elementary School and Pulaski Community Middle School for over 30 years. Many of those years were spent working in the Library Media Centers. Peggy loved reading and helping students find just the right book, but her “job” was to touch the hearts of the children and staff members she saw every day. Her gentle nature and kind words, mixed with her fun-loving humor, made everyone feel welcomed. “Mrs. Gauthier” always made time to listen and encourage. Her patience and sweet spirit made everyone feel special. Peggy felt most blessed when spending time with family and embraced the moments she had with those she loved. She always spoke with pride about her sons and was often heard saying what a wonderful father Troy is. During her private “haircuts”, Peggy looked forward to chatting with her daughter-in-law, Chrissy; Peggy’s eyes sparkled when she told stories about her grandbabies and the fun they had together. She loved the time Randy and she spent taking trips to the cabin, losing themselves in the beauty of nature, or enjoying one of Randy’s special suppers. Peggy was never too busy for a chat and a cup of coffee. Her generous nature was always open to share in heartache as well as celebration. Whether gardening, baking, decorating, or making a special gift for someone who needed it, the artist in Peggy found many creative ways to keep busy. Her unique and special gift was her unconditional love; her arms were always open, as was her heart. In every heart she touched, Peggy left a beautiful piece of herself…a legacy of compassion, joy and love. She leaves family and many friends to continue this journey including her husband, Randy, Morgan; one son, Troy (Chrissy) Gauthier, and their daughters, Kendra and Reegan, Green Valley; five sisters: MaryJane (Augie) Tyczkowski, Pulaski, Judy (Elmer) Naumann, Angelica, Betty (Keith) Burmeister, Tomahawk, Pat (Dallas) Maass, Seymour, and Dolly (Keith) Stamps, Angelica: Randy’s parents: Earl and Arlene Gauthier, Pulaski; Randy’s sister and brothers: Debra (Ken) Ellenberger, Pewaukee, Gary Gauthier, Pulaski, and Rick (Debbie) Gauthier, Ashwaubenon; many nieces and nephews, other relatives and friends. She will also be missed by her furry buddy, Coty. 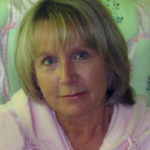 Peggy was greeted in heaven by her son, Wade; her parents; her dear friend and sister-in-law, Rorie Gauthier; and two brothers-in-law: David Wrobleski and Jerry Nelson. The Funeral Mass was celebrated at 11:00 am, Monday, July 17th at Assumption B.V.M. Church in Pulaski, Fr. Patrick Gawrylewski, O.F.M. presiding.